A broken and desolate Earth. A young girl simply trying to survive. A lost boy with a powerful secret. Terra suddenly finds herself asking questions no one will answer. 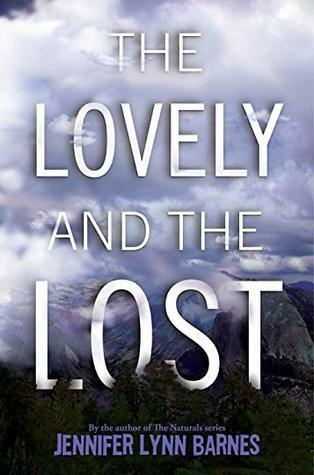 Her search for the truth leads her to Adam--a beguiling skydweller unlike any she has ever met. But Adam has secrets and a quest of his own. With him by her side, the world Terra thought she knew begins to unravel. Soon her discoveries unearth a terrifying conspiracy that has the potential to shatter everything--a revelation that will test the bonds of loyalty, family, and love. The first book in debut author Gretchen Powell's anticipated Terrestrials series, Terra catapults you through a story filled with blood-pumping action, intrigue, and surprising twists that will wrench and warm your heart. As the hidden truths of this world unfold, the new dangers looming on the horizon are sure to leave you waiting breathlessly for the sequel. I was a little hesitant at first about reading this book, the synopsis sounded interesting but sometimes I’m not very good at enjoying a book that is too “out there.” Luckily for me, this book rocked my world and was just right in almost every way. As it turns out, I had no problem reading this book, and once I was about 100 pages in I couldn't put it down. Nothing and I mean nothing could keep me away. The shocking revelations along with the heart pounding pace had my head spinning and my fingers turning the pages at an alarming rate. By the way, you can’t tell this is a self-published novel so don’t let that turn you away from this wonderful read. Let me begin by saying that the characters were insanely wonderful. Terra at times could get a little frustrating with all of her questions, but overall she was a strong female lead that I couldn't help but like. Her younger brother was even more likable, along with several other smaller characters that really made the book well rounded and seem real. Adam, the oh so lovable main male character in this novel, had me swooning over him. And that my friend is always a good sign of a good book. The world that Powell created was interesting and intricate. The only issue I had with this was how long it took me to grasp and figure out the world she created. It took me a while to really understand the world Terra was living in. This is why I gave the book only four and a half stars. That and the feeling I had that there should have been just a little more something, making the book a little longer, maybe a little more sustenance. Something small was missing. Maybe I'm just greedy and I wanted more. Just a warning, I loved the ending, but man am I frustrated. The ending had me seeing red, not because it wasn't good, it was really good, but because I have to wait for the next book. I felt like Terra, having a million questions that no one is answering. I have already started recommending this book to fellow readers. You should buy it right now! I’m not kidding. It’s a great read especially for those that like dystopian novels with a little romance thrown in. Reading this book won’t take long and I promise it will be worth your time. By day, she types and types (and types and types) for personal, professional, and cathartic purposes. 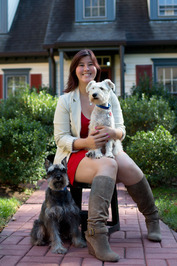 Sometime in the mid-afternoon, she writes a blog, called "Honey, I Shrunk the Gretchen!" about food, fitness, and her life. She loves words. And Harry Potter. And especially the words IN Harry Potter. 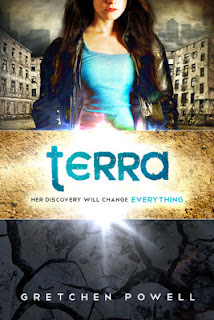 Enter to Win a SIGNED Paperback of Terra, a SIGNED Book Tour Bookmark and an e-copy! Hello! Kay here. (Known as Allison in real life. Long story.) 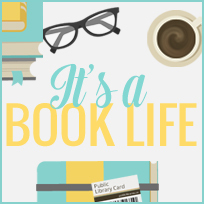 I am a 20-something book nerd, part-time circulation desk clerk at my local library, a wife to the most wonderful husband, a sister, a daughter, a best friend, a pet owner, and a Netflix binge watching junkie. Enough about me. Go back to reading my blog posts, or just reading in general. I don't know if I can bring myself to start another series right now, but this one does sound good. Maybe when the others are published! On a completely unrelated note -- have you noticed that Book Blog 411 has disappeared? Seems like Readingista's site is gone too. Weird. I wonder what happened. You will have to check it out later when you get the time. I know how hard it can be to start another series, plus it usually pays to wait so you don't have to wait for the next book to come out. Yes, I recently noticed that as well. I don't even think she is on Twitter any more. I have no idea what happened. It's sad though. I haven't heard anything else about it. Now dystopia is a genre I can devour like it's nobody's business! And the one thing I really noticed was the subtle nod via the names that Powell picked for her characters --- Terra, Mica, Adam. They are terrestrial and clever. I'm like you, Kay, where I get super frustrated when a book ends on a huge cliffhanger, but you know what? It works! And that's what really makes me want more! And it's also the reason why I pick up books after most of the series has already been released (because I'm impatient like that). I totally can't wait to read this one! You will probably really enjoy this book! At first it seemed really similar to other Dionysian type books but with each page it gets amazingly better. I do that too occasionally... I at least wait till book one and two are out. Waiting is painful otherwise. I hope you get this book so I can see what you think of it! I loved the book! Can't wait till the next one :) nice review/promo!